Robert Wood Johnson Physician Enterprise (RWJPE), a multi-specialty, community-based physician group in Central New Jersey, implemented UltraSPECT’s Xpress3.Cardiac solution at four of its sites: Cardiology Associates of New Brunswick in New Brunswick, NJ; Heart Specialists of Edison in Edison, NJ; New Brunswick Cardiology Group in Somerset, NJ; and New Brunswick Cardiology Group in Monroe, NJ. The software will benefit patient safety by reducing the dosage of injected radiopharmaceutical given, while lowering the radiation exposure for patients and nuclear staff alike. In addition, this new solution saves valuable time for patients and staff, as it can produce the same high-quality images in less time than is typically required during standard exams. All four installations are part of RWJPE’s radiopharmaceutical supply agreement with Nuclear Diagnostic Products (NDP). NDP delivers high-quality diagnostic and therapeutic radiopharmaceuticals to its customers and offers UltraSPECT products to facilities looking for a cost-effective solution to achieve faster and safer imaging with better diagnostic capabilities. The physicians and technologists at RWJPE Heart Specialists of Edison were supportive of installing UltraSPECT, including Dr. Tiberiu Kovacs and Thomas Williams, Director of Cardiology. John Sienrukos, Chief Technologist, completed the installation with little disruption, thanks to the support of the UltraSPECT personnel over the phone. A few days later, Yossi Srour, President, and Scott Truman, Application Specialist with UltraSPECT, arrived on site at Heart Specialists of Edison and completed the training of staff in a matter of hours. “After a short training, I was able to use the quarter-time protocol and, after Scott Truman's visit, I was able to use half-dose full-time protocol,” said Sienrukos. “A few weeks into using the system, I can say that I am comfortable with UltraSPECT, it’s working well and our patients are appreciative of the time savings and, even more important, the safety benefits. I would recommend it to other facilities." When the purchase of UltraSPECT is made through a radiopharmaceutical partner of the healthcare facility, a pharmacy handles the financial arrangement. According to Sienrukos, NDP’s involvement streamlined the purchasing process for the facility. The concern over exposure to radiation was and still is a trend in CT and X-ray imaging in general and in Nuclear Imaging specifically. This created a market demand for low-dose imaging and led to growth in UltraSPECT installed base and sales of its low-dose and ultra low-dose solution. The collaboration with the radiopharmaceutical suppliers has proven to be very successful in addressing that demand. 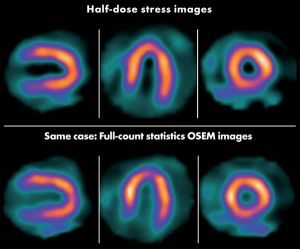 The suppliers have been offering UltraSPECT image reconstruction solutions that support safer and faster imaging in nuclear cardiac and oncology exams as part of their supply agreement. BC Technical is a diagnostic imaging service organization specializing, among others, in NM products and servicing over 2,000 NM, CT, MR and PET systems for 1,500 customers nationwide. BC Technical and UltraSPECT Inc. have already been working together and, lately, due to the growth in demand, UltraSPECT has asked to strengthen the relationship, where BC Technical supports UltraSPECT products and customers, including installations, application training and other service activities. BC Technical employs 125 Field Engineers averaging over 21 years of industry experience, 35 Senior Technical Support Specialists and five NM Clinical Applications Specialists. BC Technical Field Engineers will conduct all the installation activity for UltraSPECT while Applications Specialists will be responsible for training of NM technologists and physicians to use UltraSPECT systems. 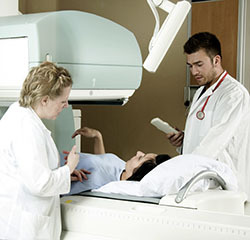 Hospitals, physicians and technologists remain sensitive to the amount of radiation exposure their patients receive, driving demand for UltraSPECT products. Additionally, the number of UltraSPECT’s collaborations with radiopharmaceutical suppliers has been increasing, a key factor assisting in the company’s rapid growth. Collaboration with BC Technical has been instrumental in supporting this growth and ensuring customer satisfaction.